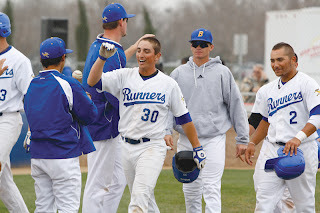 * .... RUNNER BASEBALL: One of the best kept secrets in town may be the Cal State Bakersfield baseball team. 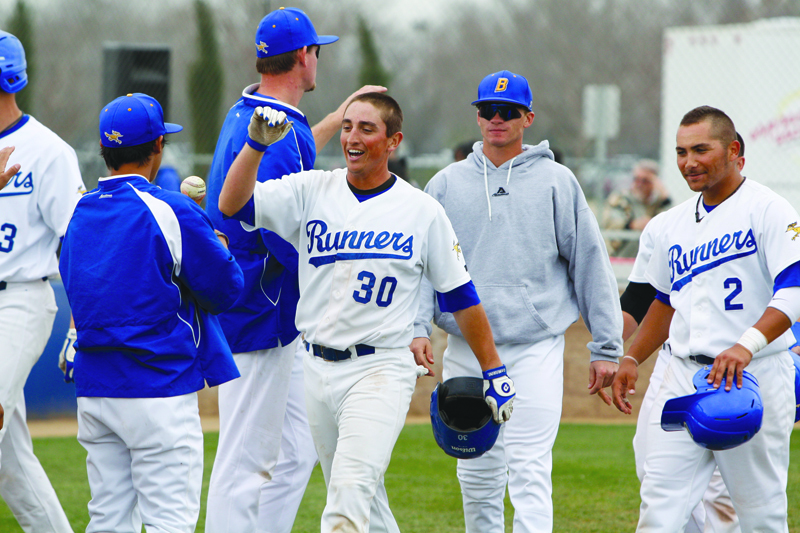 In only its third season, the Runners are one of the nation's hot teams but seem to draw few fans out at Hardt Field. Since going Division 1, the Runners have defeated the likes of Arizona State, Kansas, Air Force, Northern Illinois and even defending national champion South Carolina. I suspect the low turnout for home games is largely due to CSUB's status as a commuter school, but certainly this team deserves better home town support. This week, The Ohio State University comes to town for a three-game series Thursday, Friday and Saturday. It would be good to see a big home crowd to greet the Buckeyes. * ... FARMER'S MARKET: And speaking of secrets, I continue to be impressed with the downtown Saturday morning farmer's market in the old Montgomery Ward parking lot. This week there was a large variety of oranges and tangerines (the Cara Cara orange from the organic Cliff McFarland farm near Visalia is my favorite) as well as broccoli, potatoes, herbs, scallions, home made breads, fresh flowers, nuts and frozen grass feed meats. * ... JAIL LIONS: More on those huge old lions that once stood at the county jail until the 1952 earthquake. This comes from Superior Court Judge William Palmer, who apparently was one of those who helped move the lions to the Sigma Alpha Epsilon fraternity house at the University of Nevada at Reno. "The lions are currently in Evans Park, on the front porch of the SAE house, which is across the street from the southeast corner of the campus. 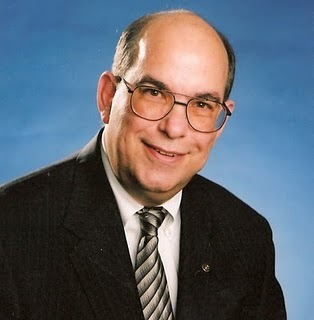 By way of history, after several telephone calls between Bakersfield and Reno, on a Bakersfield City Council meeting evening, the successful bid for the lions was the fraternity’s. Over the Christmas holidays that year, several of my fraternity brothers met me here in Bakersfield, and with the aid of a very skilled hydro crane operator, after 'separating' the terracotta statues at the original seam points, the lions were loaded into the back of a rental truck. The lions arrived in Reno in separate pieces, but not damaged; and thereafter were reassembled and painted, and painted, and painted several more times, both by rival fraternities and restored to their white by the SAEs. One amusing aside, after loading the lions into the rental truck, we went to my parents’ new abode in Kern City where the truck was backed into the driveway. The neighbors were a bit concerned with a group of young men and a truck since my parents were still with my sister for Christmas. However I was able to convince them that our intentions were honorable." * ... REMEMBER BAXTER'S? I've been overwhelmed with reader responses on all the old drive-in restaurants that were once so popular in our community, and I love every one of them. Now comes Jerry Karr, talking about Baxter's Drive-In on Union Avenue at Kentucky Street. "The carhops did serve people on roller skates. Mrs. Baxter, whose name was Veda, was in charge of the carhops (who) wore roller skates and dressed in red and white. Mr. Baxter’s hair was a stunning white color, and yes, it had a lot to do with his wartime experiences in World War I. Mr. Baxter was 89 when he passed away in approximately 1986. The reason I know some details about these folks was because we were neighbors for several years. They were two wonderful people. Mr. Baxter was often referred to as 'Bax' by his friends and family. At the end of his working career, he was considered Gene Winer’s top Cadillac person. He looked like a Cadillac. They are both laid to rest in the Baxter family plot at the Live Oak Cemetery in Monrovia." * ... SICK BAY: David Price, the retired head of the county Resource Management Agency, is having a difficult recovery following a tricky surgery a few weeks back. Price, who retired to Tennessee last year, underwent an operation at the University of Virginia to treat numbness related to calcification in an area of his upper neck vertebrae. It's been a tough period for his friends and family and wife Liz is asking for your thoughts and prayers. What time are the games and what is the cost of admission? Don't forget the women's basketball team, which plays at home Wednesday in the semi-final of their first post-season D1 tournament! The cost is $7 to see a game at Hardt Field. Some of these games were to be night games but they were having problems with the new lights. I will check.